Incredible new price $419,900… Awesome opportunity for a turn-key Colonial! You can’t beat this price for a quality built, nicely updated Colonial boasting 2200+sf on gorgeous grounds. Easy to show by appointment. Contact Jen McMorran for more information or to schedule your private showing. Truly one of the best values around! Why build and wait for new construction? Up and ready for its new homeowners is 88 Slater Street – a beautifully maintained 3 bedroom, 2.5 bathroom Colonial with two car garage set on a gorgeous professionally landscaped lot in sought after Attleboro, MA. Tucked away off of Slater Street, 88 Slater Street is just minutes to all of the conveniences of downtown as well as the new train station for Boston and Providence commuters. Just over the Norton line, easy access to Wheaton College and Taunton Industrial park areas as well. This home offers wonderful manageable space for relaxing, entertaining, working, and living. Enjoy a high-end stainless steel kitchen with blue pearl granite and warm wood floors. The kitchen opens to a family room with hardwood floors and sliders to a wonderful three season room. Love the outdoors? This spacious three season room is the perfect extension of living space featuring a ceiling fan and awesome wooded views. Or, enjoy a warm cup of tea or refreshing cool drink as you relax on the composite deck and take in the beautiful perennial gardens. A more formal sitting room is located off of the two story front foyer featuring a fireplace and great space for reading a book or quiet conversation. For entertaining and gathering, the dining room boasts great space and great light from the triple windows in the front. Also on the first level, a newer addition created a two car garage offering loads of additional storage in the attic space, a mudroom area, an awesome home office space with tons of windows, and a luxurious laundry area with farm sink, high end washer/dryer system including a dryer cabinet for delicates. Upstairs, the master suite features a walk-in closet and master bath with Jacuzzi soaking tub and walk-in shower. The main full bath also boasts a walk-in shower. The upstairs is then completed with two other ample sized bedrooms and landing open to two story foyer with gorgeous palladium window. Continue scrolling down for photo gallery of this beautiful home. Let me know if you have any questions or if you’d like to schedule a showing … just fill out the contact form below, e-mail at jen.mcmorran@gmail.com or give a call/text 508-930-5259 and I will get right back to you! Showings start now! Let me know if you have any questions or if you’d like to schedule a showing … just fill out the contact form below, e-mail at jen.mcmorran@gmail.com or give a call/text 508-930-5259 and I will get right back to you! but a great couple so I know it will be worth it!! This set of buyers is in search of a home with tons of character and charm preferring pre-1960 and willing to go back all of the way to 1740s. They definitely want a large lot – thinking 1+ acres – or even the illusion of a large lot if they found a home that abutted conservation/park/etc. Currently they are living in a bungalow in a cute downtown neighborhood which was a nice place to start but now feeling too congested for them. They are craving space, trees, and privacy. Being close to a busy road won’t work for them. Antique lovers know homes built “back in the day” were purposefully located close to the road so quiet set-backs are not always easy to come by but, I found my antique colonial set back off the road so I know it’s possible. I n terms of the home itself, they would like at least three bedrooms, minimum of two baths, a garage if possible, and charm, charm, charm (cookie cutter is just not going to do it for them.) Some sort of “out” building or separate studio that could be used as a home office would be great – but even a separate space in the house could have potential. She works from home and would like a feel of going to the office and then leaving it behind when done for the day. For location, they would like to be within 30-40 minutes of Providence. 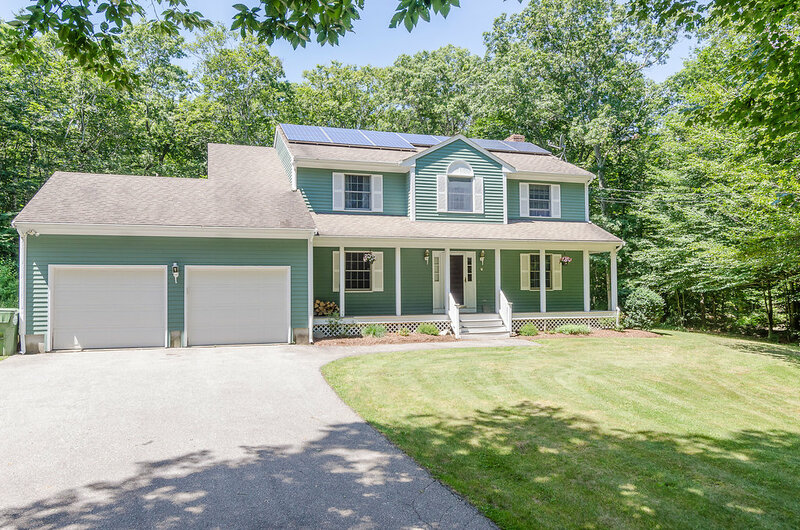 Do you happen to know anyone in Southeastern Massachusetts interested in selling a home like this?